After being really unsure about culottes at first I now have decided that I love them. So when I saw this in Bershka it was must have. 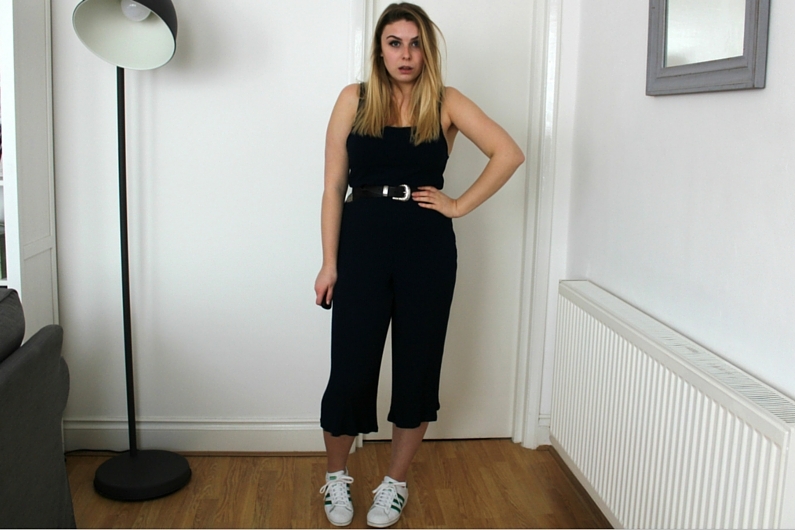 They are culottes, its cosy, its ribbed, whats not to love?! Bershka isn't usually a place I think to shop. I think just because there wasn't one back at home and I would only ever pop in on my occasional shopping trips in London. But having one in Brighton I do surprisingly shop in there a lot, its great! I feel like I can dress these up with some boots or something and they would still look okay for me to lounge around at home in too (which is basically all I do ops) win - win. This is the second item of clothing I have in navy in my entire wardrobe (how bad is that?) I tend to usually opt for all things black or grey but I really like this in navy. Looks like i'll have to go out and expand on the navy now! (I joke) Shopping for me now has to hit a lull as I am desperately trying to save up to go travelling! Love this outfit. Looks confy but like you seid you can dress it up or dwon. Very nice comfy outfit. You look great in it too! Ah thank you. I'm pretty sure its still in stock!